As autumn wanes and activities move indoors, we have time to reflect on our many blessings: family, friends, health, love, abundance, beauty, and kindness. Among my blessings, I count readers and others near and far with whom I have made a special connection — strangers who realize and share a parallel journey of soul work and healing. One reader shared that he was deaf, but he could “hear” the river in my poem. Another sent gorgeous handmade gifts in memory of a loved one who had passed. One of the poems was turned into a song. Some have sent their own books, or sent private messages, letters. I have grateful for those who take the time to write review comments to let others know what they thought about the book or about the connection that was made. These expressions of gratitude close the circle of the reading experience and mean more to me than I can express. If I never heard the splash in the pond, then I would just be indiscriminately throwing stones. Thank you for sharing your beautiful selves and for sharing the Moon. 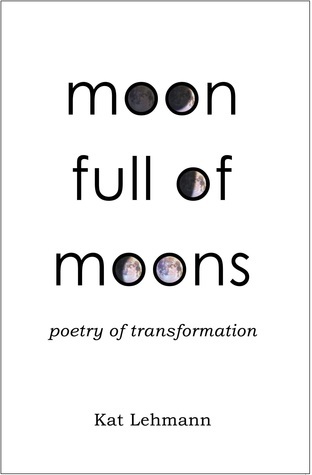 Click on the link below to enter a quick one-week giveaway for a paperback copy of my award-winning book MOON FULL OF MOONS, with shipping to either the United States, Canada, or the United Kingdom. This is the third book giveaway that I’ve done, and I’m sure I will do more in the future. It is my little way of saying thank you for reading and connecting, for closing the circle and continuing to let me know about the splashes in the pond. Read more about the book on its book page here.